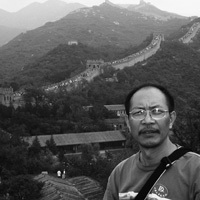 Changming Yuan, 4-time Pushcart nominee and author of Allen Qing Yuan, holds a PhD in English and works as a private tutor in Vancouver, where he edits Poetry Pacific at poetrypacific.blogspot.ca. Yuan’s poetry appears in 649 literary publications across 25 countries, including Asia Literary Review, Barrow Street, Best Canadian Poetry, BestNewPoemsOnline, LiNQ, London Magazine, Poetry Kanto, Paris/Atlantic, Poetry Salzburg, SAND and Two Thirds North. Poetry submissions welcome at yuans@shaw.ca.